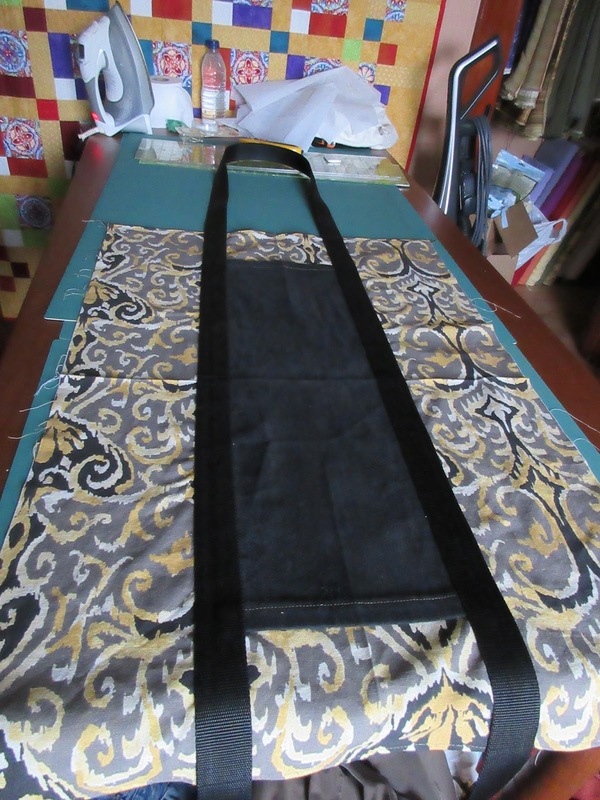 After I got my sewing room chair mat, I was motivated to clean up the room and do some sewing. I had planned to finish my curtains, but unfortunately neither of my sewing machines are going to work for the project. I need to bring in the Pfaff for service. So instead I made some cloth shopping bags. All these bags are made from large pieces of denim from dead jeans. 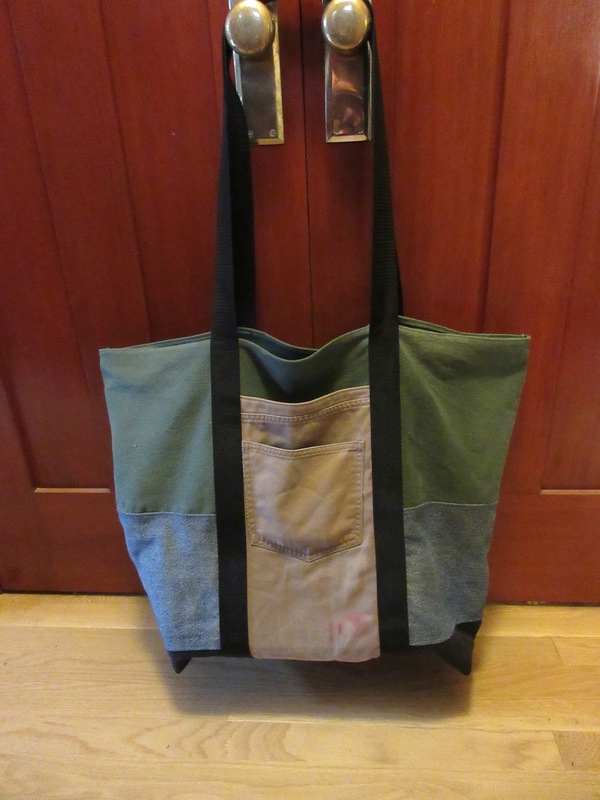 This first bag is made entirely of dead jeans denim and a long piece of really cheap webbing. It's actually a really large bag, but Jeff decided it's the perfect size for the farmers market because it will comfortably hold a half-flat. 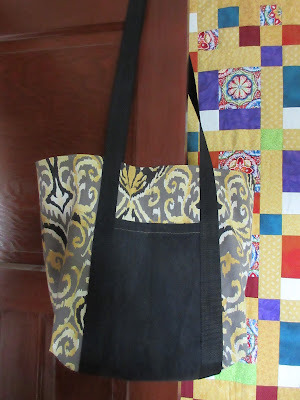 I also made two more bags in this heavy printed home dec fabric I bought on clearance for this project. The black pocket is made from more dead jeans denim. To make these bags, I used this Railroad Tote design as inspiration, but I made quite a few changes. I built my bags without a seam on the bottom. I hoped the bag would be stronger. 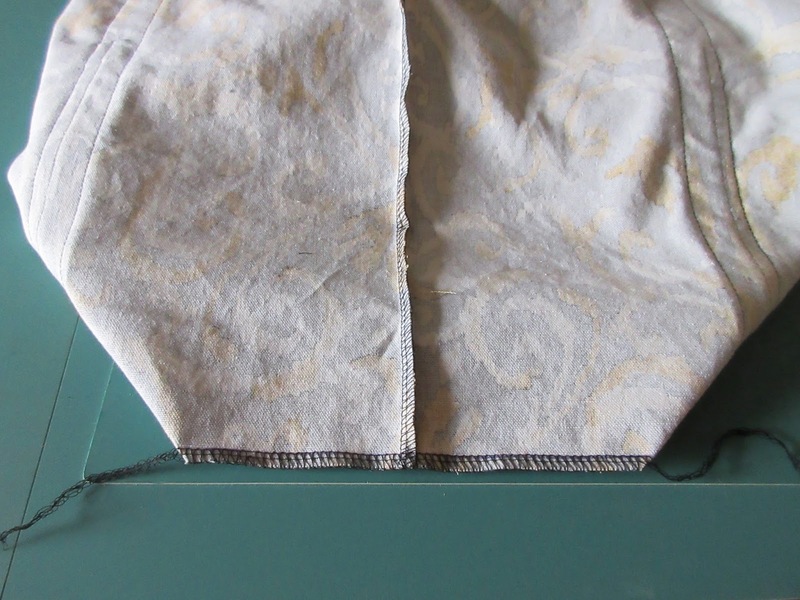 I also finished my edge seams with a serger. nice bags! john makes wooden bottoms for ours. it's a great modification. He uses 1/4 inch baltic birch. It doesn't weigh much. Whenever we use them in a store the people comment on them and how great they are. I could do a post on them as a rinky dink project.... that is what we call small practical projects usually made from things on hand. I love me a good rinky dink project. Thought you could relate to this t shirt. Very cute. I had fun with this project so there wasn't a lot of swearing. I've found once the swearing starts coming on, it's time to go do something else.